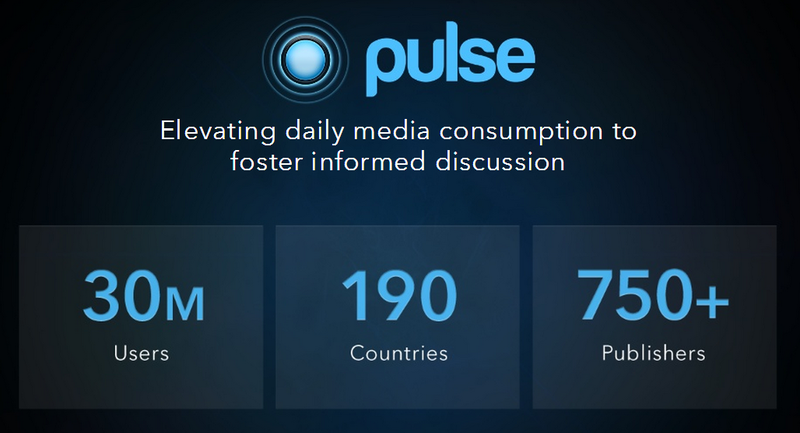 LinkedIn today announced that it has acquired Pulse, the popular newsreader for the web and mobile. The transaction, LinkedIn says, is valued at approximately $90 million in a combination of about 90 percent stock and 10 percent cash. The acquisition is expected to close in the second quarter of 2013. Today’s announcement doesn’t come as a total surprise, given that there had been rumors about talks between the two companies for a few weeks now. Pulse was founded in 2010 by Akshay Kothari and Ankit Gupta while they were still students at Stanford University. The service started out as an iPad app, but quickly expanded to other platforms, including the web. Just recently, Pulse started to dip its toes into social by adding a number of social features to its apps. Given today’s acquisition, chances are Pulse will put a stronger focus on this in the near future. The service currently has about 30 million users in more than 190 countries. Approximately 40 percent of its users are outside of the U.S.
Pulse raised an $800,000 seed round in October 2010. Redpoint Ventures, Greycroft Partners, Mayfield Fund, e.ventures and Lightspeed Venture Partners participated in this round. In June 2011, Pulse raised a $9 million Series A round from New Enterprise Associates, Greycroft Partners, and Lerer Ventures.